Auggie Talk: We're BACK! Happy New Year! And BOUT OF BOOKS! Holy goodness geez, it's so nice to be making a post again on Auggie-Talk. I've shuffled the dust away and have gotten the book-review energy flowing again. I was really tempted to start the blog back up again before the New Year, but it feels nice and proper waiting until 2014 officially got underway. This is it, bookworms! This is the year that you're going to read some astronomical amount of awesome literature, or at least one very wonderful book that will change you, and I mean change you. It will be an undeniably spectacular adventure. It's true. I've seen it in your stars, my literary muffin crumpets. So, what's been going on with me since last we chit chatted? Became a certified meditation coach and launched "Sweet Talk Revolution" a blog for positive living focused on mind-body-spirit detox. 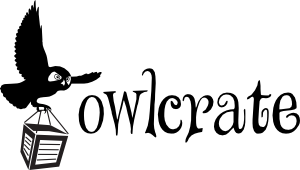 You'll be seeing some of that in the future as I've decided to start reviewing non-fiction from time to time (and I'll be linking up for some cross-blog goodness). Finished my first semester of Graduate school without committing any serious stress-related crimes. Have survived living in a bigg-er city all on my lonesome without going completely looney toons on anyone just yet. Participated in NANOWRIMO and while I DIDN'T get the 50,000 word mark I have 20,000 more words than I did when I started and I'm on my way to the 2014 goal of FINISHING THAT DARN BOOK. Well, To shake things back up I figured we'd start with a BOOK A THON. Oh yes. Bout Of Books is happening already and I was 10 books shy of my yearly book-goal for 2013. I do not wish to slack again, so I am wholeheartedly participating in this one. I'm going to be all aim-low on this one and choose to set my sights at 3 books in those 7 days. That sounds like a push but, wait, I've got a plan. One of those books will be one that I've already started that I just HAVEN'T BEEN ABLE TO FINISH FOR WHATEVER ABSURD REASON! Not sure which one, but one of the many. There. So that leaves 2 whole books to read in 7 days. Synopsis: Sussex, England. A middle-aged man returns to his childhood home to attend a funeral. Although the house he lived in is long gone, he is drawn to the farm at the end of the road, where, when he was seven, he encountered a most remarkable girl, Lettie Hempstock, and her mother and grandmother. He hasn't thought of Lettie in decades, and yet as he sits by the pond (a pond that she'd claimed was an ocean) behind the ramshackle old farmhouse, the unremembered past comes flooding back. And it is a past too strange, too frightening, too dangerous to have happened to anyone, let alone a small boy. "House of Hades" by Rick Riordan. 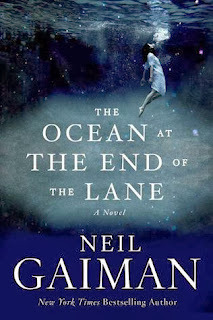 Synopsis: At the conclusion of The Mark of Athena, Annabeth and Percy tumble into a pit leading straight to the Underworld. The other five demigods have to put aside their grief and follow Percy’s instructions to find the mortal side of the Doors of Death. 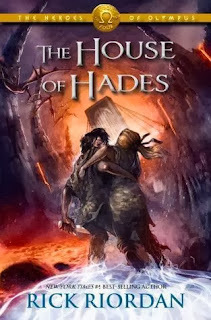 If they can fight their way through the Gaea’s forces, and Percy and Annabeth can survive the House of Hades, then the Seven will be able to seal the Doors both sides and prevent the giants from raising Gaea. But, Leo wonders, if the Doors are sealed, how will Percy and Annabeth be able to escape? But... I might change my mind and throw a romance in there instead. Not-quite-sure-yet. Go on. 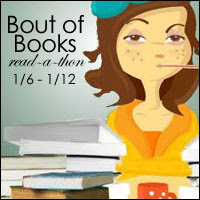 Get your little self on over to the Bout of Books page and sign yourself up. You won't regret it! 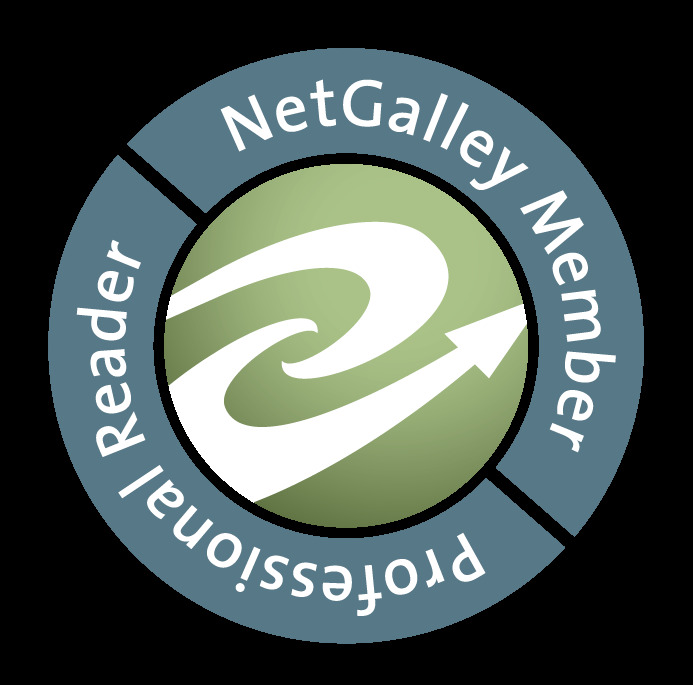 I am so happy to be back and book blogging for this shiny new 2014 year. I missed you!